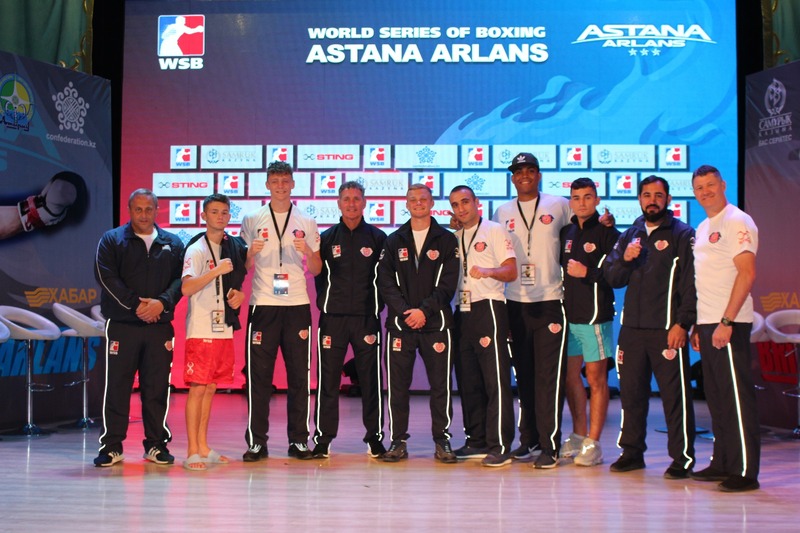 A WIN for Will Cawley was the sole victory for the British Lionhearts as the team lost 4-1 to Astana Arlans Kazakhstan in the second leg of their World Series of Boxing (WSB) semi-final in Atyrau City. It means the Arlans won the match 7-3 on aggregate over two legs and will progress to the final of this year’s WSB where they will meet France or Cuba. Cawley’s split decision win over Saken Bibossinov in the flyweight contest levelled the match at 3-3 to briefly raise hopes of a Lionhearts’ comeback but the team was unable to capitalise against a tough and experienced Arlans line-up. Calum French narrowly lost on a split decision against Serik Temirzhanov in the lightweight contest before Carl Fail (welterweight), overseas selection Liridon Nuha (light-heavyweight) and Soloman Dacres (super-heavyweight) succumbed to unanimous defeats against powerful Kazakh opponents.